Anna Meassick | The Robert J. Higgins Welcome Center opened this past August after 11 months of construction. 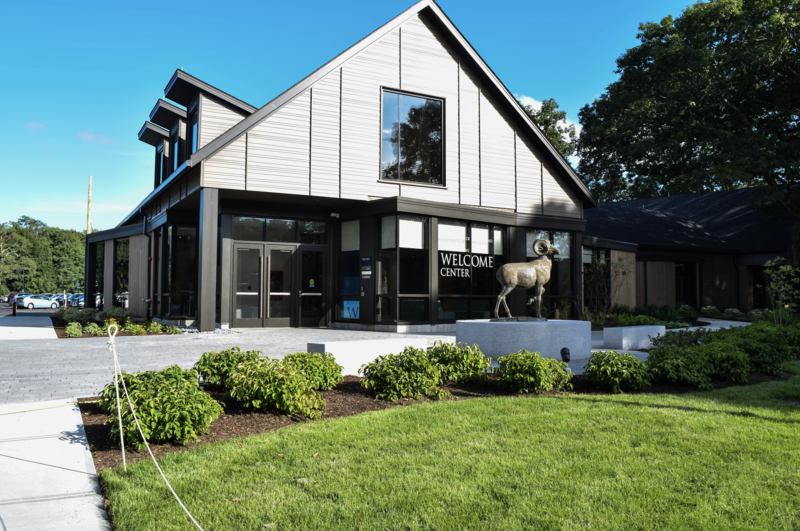 In August, the new Robert J. Higgins Welcome Center opened on Upper College Road, providing a new space for visitors and potential students of the University of Rhode Island. Construction of the Welcome Center began in October 2017 and was completed this past August. The $7.98 million facility is 12 times larger than the previous space and will house all information sessions and be the starting point for all tours. Tours will remain the same with the exception that guests now receive the opportunity to see more of Upper College Road, Swan Hall and President David Dooley’s house. 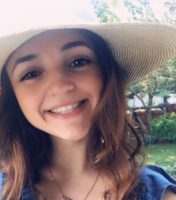 “We wanted to build a nice facility for people to be able to come and visit and get a good first impression of URI,” said Erin Earle, assistant director of visit experience. 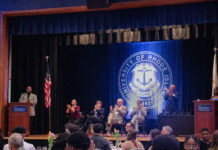 The building is equipped with multiple rooms that can be rented out for events and seminars as well as a lounge for the tour guides and multiple interactive TV’s that will provide guests with information about URI’s clubs, academics and upcoming events. Featured on the walls are photos of the URI student experience. From dorm rooms to clubs and everything in between, pictures sent in by students are hung along the halls of the Welcome Center. There are also timelines of dining, athletics, academics and living featured in the main presentation room that illustrate the growth of the University from its opening to now. The ribbon cutting ceremony which will take place at the Center is on Sept. 26 at 10 a.m. The center is open to everyone at URI from 7:30 a.m. to 5 p.m., Monday through Friday.